HMD Global have given their 2017 flagship smartphone more than a face-lift, announcing local availability for the new Nokia 8.1. James Robinson, Country Manager for ANZ at HMD Global, says that “the response to Nokia 8.1 globally has been overwhelming so we’re excited to announce its arrival in Australia next week. As well as delivering the meticulous craftsmanship and build quality renowned to Nokia, this smartphone runs the latest Google software so fans can enjoy the latest Android innovations." As with other HMD devices, the Nokia 8.1 runs on a clean version of Android 9 Pie and is equipped with a Snapdragon 710 CPU, 3500mAh battery 4GBs of RAM and 64GBs of on-board storage (plus MicroSD support). The camera looks to be a big focus here, with the Nokia 8.1 seemingly the first HMD global device to feature AI-based photography features such as a simulated bokeh effect and "3D personas." When it comes to the Nokia 8.1's 6.18-inch FHD+ display, the device also features the same HDR-friendly PureDisplay tech found in the previous Nokia 7.1. "With the new PureDisplay HDR screen technology, accelerated performance, high quality imaging and advanced AI 20MP for selfies day and night, our customers will be able to enjoy a premium experience at all times." Related Content: What Is A PureDisplay? As for what it doesn't have: it looks like the biggest thing Nokia 8.1 buyers will be missing out on is wireless charging. The 700-series Snapdragon CPU also looks to be a significant step-down from the Snapdragon 835 found in the original Nokia 8 and last year's Nokia 8 Sirocco, though we won't know for sure until we have the chance to test the device ourselves. At a glance though, this doesn't really look like a true successor to the original Nokia 8 nor the Sirocco. We'll likely learn what HMD Global's real 2019 flagship device is at Mobile World Congress later this month. 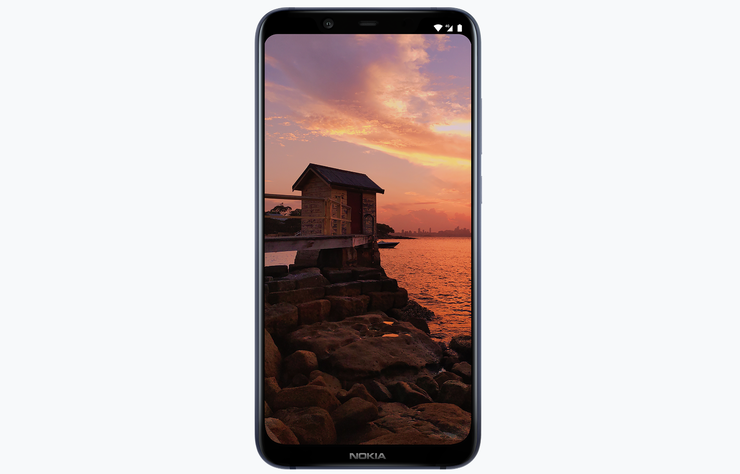 The Nokia 8.1 will be available in Blue/Silver and Steel/Copper from Thursday 21st February 2019 at JB Hi-Fi and Officeworks for $699 RRP.